Nancy Reagan did not use taxpayer money to decorate the White House! Nancy Reagan has just died, and one of the main complaints about her that has survived all these years was just casually mentioned by someone in the media—that she extravagantly spent a fortune of public funds to decorate the White House. Well, that’s just not true! And I am really angry that that rumor has survived all these 35 years. I think it is way past the time to set the record straight. 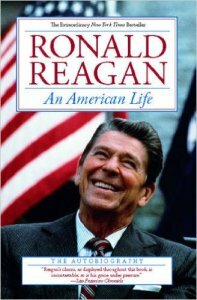 As it happens, I have been reading Ronald Reagan’s autobiography, Ronald Reagan, An American Life. I love it! And one of the things I clearly remember reading is how Nancy decorated and refurnished the White House “at no cost to the taxpayers.” She did it all from donations, which she worked hard to get.